Barack Obama anoints Rev. Al Sharpton America's premier civil rights leader — as 2016 looms. 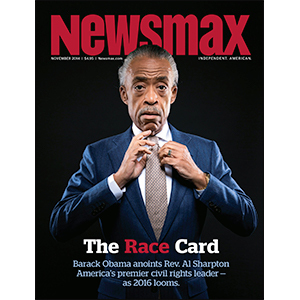 'The Race Card' Newsmax Magazine November 2014 Barack Obama anoints Rev. Al Sharpton America's premier civil rights leader — as 2016 looms.